It’s summer and that means the weather is great and that the festival circuit is on fire. Music festivals are a fantastic way to enjoy the season. You can spend time outdoors, both day and night. You get to hear some of your favorite music and maybe discover new ones while making friends. But festivals are no joke. They may look like picture-perfect experiences on Instagram, but in reality, they are lengthy outdoor events that you need to prepare for. Whether you are hitting your first or your fiftieth festival, there are always some essentials that you should bring along. Below is a list of some items that should always be in your festival items survival kit. Trust us, being prepared helps you have a better time, so pack up and hit the lawn. 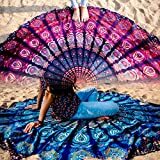 If you are going to find a good spot at a festival to enjoy the vibes, the music, and the people watching, you are going to want something comfortable and stylish to hang out on. These round mandala tapestries are distinct and easy to spot. 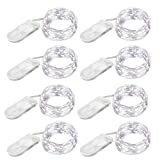 They are thin enough to throw in a backpack or bag and are large enough to spread out on. At festivals, you have to claim your territory. These festival items allow you to set out two tapestries to do so. So find your spot, spread out, and chill out. Spending a lengthy amount of time outdoors can be real drain on your batteries, both metaphorically and literally. You will not have access to outlets during your time in the crowd. Make sure you have one of these super powerful, super reliable charging bricks with you. This one can charge most phones over six times, tablets at least two times, and any other USB device like Bluetooth headphones or camp lights multiple times as well. So don’t worry about continually closing Snapchat, toggling your phone in and out of airplane mode, or just carrying around a useless brick when your phone inevitably runs out of batteries. Bring this power bank and stay powered up the entire time! This is one of those festival items that has multiple uses. Summertime means warmer weather and longer days, but it also means bugbites and sunburns. This little can solves those two problems by providing sunscreen and bugspray in one. It is SPF 30 and deet free, so you can stay protected from painful sunburns and itchy bug bites without having to lug around two products. Stay smart, stay protected, but keep it convenient! Hot weather can also mean sweat. After hours of standing in the sun and the elements, you might be feeling less-than-fresh. 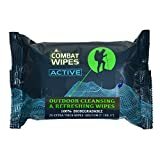 These extra thick wipes are basically a mobile shower. You can clean off, freshen up, and not even worry about destroying the environment since these are 100% biodegradable! One reviewer gave a less than delicate, but nevertheless important review, stating that they were able to care for their private places. Stay clean and stay happy with this festival item. Some festivals include camping! So if you plan on staying for multiple days, there are a few over-night festival items you should have with you. If you bring only one thing along with you for an overnight festival stay, make it this tarp. Any amount of moisture can quickly turn a picturesque field or lawn into a muddy mess. 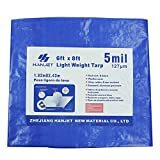 This tarp works as a great base for a camping site, or in the event of rain, a rain guard to a makeshift tent. At 6ft by 8ft, is is large enough to make a good sized makeshift floor without being obtrusive. Plus, it has rust resistant grommets every three to four feet, making it super convenient to keep in place with a few metal stakes. This should be the foundation of any overnight festival stay. Having a small tent to retreat to overnight can feel like a five star hotel after spending the entire day outside, navigating crowds. 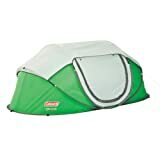 This pop-up tent is modest and super easy to set up. You don’t even need to deal with stakes and orientation, just pull it out of the carrying case and unfold. It comes in a two person or a four person option, so you can go it solo or invite a few close friends to share your space with you. Just set this little baby up on top of your tarp and you will be relaxed, sheltered, and dry. Since it’s summer, you probably will not have to worry about cold nights. This lightweight and supercompact sleeping bag is the perfect option for you. It is easy to transport and unfolds into a lightweight, super comfortable standard sized sleeping bag. One reviewer explained it’s usefulness saying it gets the size of a cantaloupe. They also said it was lightweight but didn’t feel like it was easy to rip. This is surely one of those festival items that you can use year after year. This may not seem like an essential at first glance, but this compact, battery powered little fairy lights will give your campsite a homey, trendy vibe, while still providing some illumination once the sun goes down. Festivals are all about getting into the spirit of the crowd, the music, and the venue, so bringing along these lights as a little extra flair for your campsite will help you get into the flow. So throw them in your pocket, and decorate on site! Pack up your shades, your festival items, and enjoy the summer!